No one likes having to build their own website...and we know that. Optuno provides a custom website development experience unlike anyone else. Dedicated project management team: Work with your own dedicated team that stays familiar with your project. No more repeating the same things over and over again! Our customers love us. And we love them: In 2017 we had a 99% satisfaction rating from hundreds of companies all around the world. 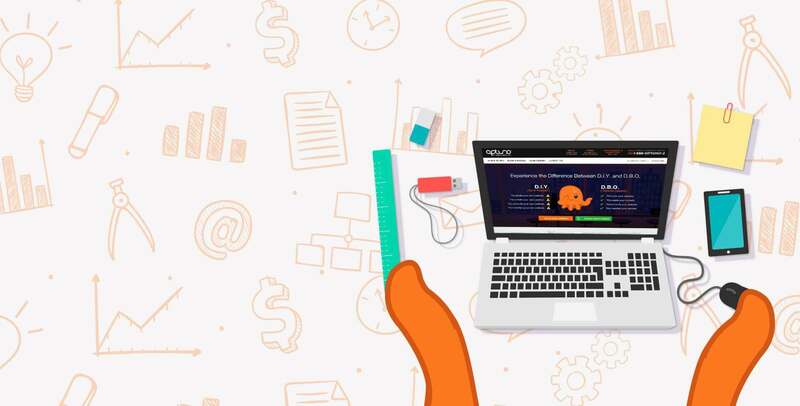 Lightning fast response times: Optuno is the absolute fastest and most efficient web design & development team you've ever seen. Try us! Our user-friendly control panel allows you to view your active projects and communicate with the Optuno design and development team in real-time. 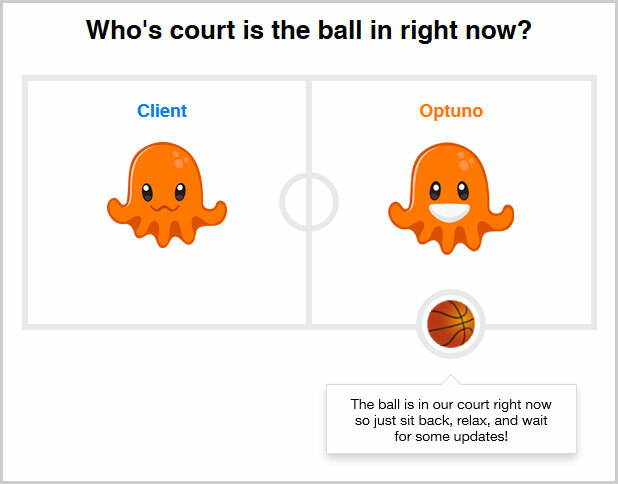 You’ll always know whose court the ball is in and what may be needed to get your new website live! All Optuno plans include the placement and formatting of your content and images as well as generating your headers, call outs and page element labels to make your website look professional. Just provide us with your content, or tell us where to get it (your old website) and we'll format it nicely and publish it on your website. Every plan includes a set number of ongoing professional support time where we make content & image updates for you. Don't want our help? You can also use our proprietary FICMS™ Content Management System to add content to your site at any time. Optuno goes the extra mile to provide you with a full-service agency experience without having to have a full-service agency budget.